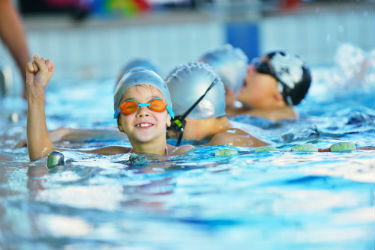 At our Chichester gym, we run a popular swim school offering lessons for adults and children of all abilities. 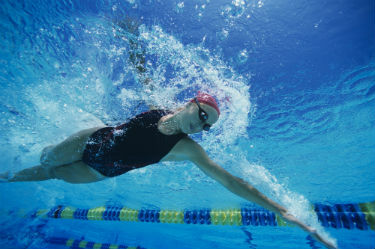 Our popular 'Swim England Learn to Swim' programme in Chichester follows Swim England standards. Whether your child wants to learn to swim, or you're an adult looking to improve your technique, our lessons are fun, structured and tailored to your needs. Our heated pool is 20 metres long at a constant depth of 1.2 metres. Lessons are open to both members and non-members. It's never too late to learn! Whether you're a complete beginner or want to improve your stroke, we offer 1-2-1 lessons throughout the day. 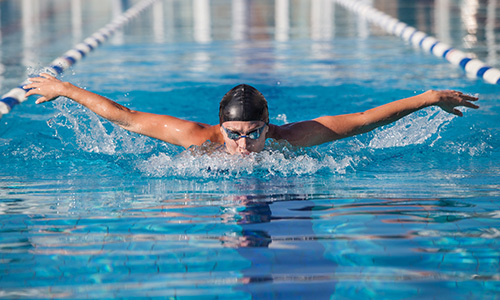 Your instructor can tailor lessons to your ability and goals, teaching front crawl, back stroke, breast stroke or butterfly. We offer a variety of lesson options for your child, whatever their age or ability. School holiday crash courses also available. Parents are welcome to relax in our gym cafe while your child is swimming. Please get in touch with our swim school if you would like any further information or to book a lesson. We look forward to welcoming you to our swim school. 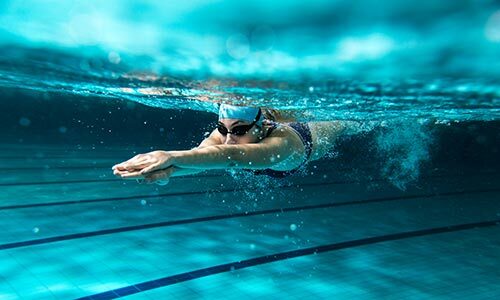 Get the most out of every lap and find the best stroke for you with our expert comparison of swim strokes.